They say the "hostile environment" is leading to a high turnover rate and claim the agency is manipulating data pertaining to the child abuse hotline. 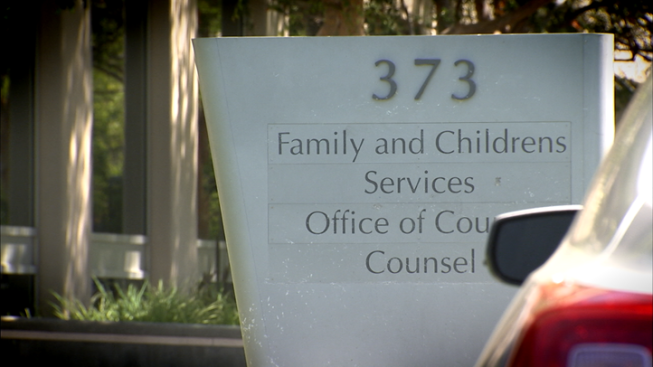 A group of social workers has filed a complaint with county officials alleging “toxic” conditions within the Santa Clara County Department of Family and Children’s Services are making it difficult to provide care to the community’s most vulnerable members. The workers say the problems permeate all departments within the agency, including the Child Abuse and Neglect Center (CANC) where social workers answer the 24-hour child abuse hotline. They claim mismanagement and retaliation is leading to high turnover rates and burdensome caseloads for social workers. The CANC was the target of a 2015 audit that found 41 percent of calls coming into the child abuse hotline were going unanswered. Although County officials now say 98 percent of those calls are being answered, social workers say the numbers are being manipulated. In reality, they say many hotline calls are being answered by clerical workers who are not trained to assess information or recognize if a child is in immediate jeopardy. Dawn Landshof, who’s been a social worker for 10 years, agrees. She said those calls should be handled by someone with appropriate training. But D’Innocenti and Landshof aren’t the only ones coming forward. Four other social workers in various positions within the Department of Family and Children’s Services also filed complaints. They met with the Investigative Unit for several hours to go over their concerns but don’t want their names made public. The Department of Social Services declined multiple interview requests from NBC Bay Area. But data provided by the agency backs up the workers’ claims. Between March and April of this year, clerical workers answered about 27 percent of all calls to the child abuse hotline. The social workers who spoke to NBC Bay Area said the problems go far beyond the child abuse hotline. They say harassment and mismanagement have made the climate at the agency unbearable for many social workers. Data from the agency shows social workers are leaving the agency faster than they can be replaced. Since January 2015, 97 social workers have left or transferred out of the agency’s “continuing unit,” which provides services for families and foster children. Only 71 of have been replaced as of June 2016. An additional 14 social workers left the CANC over the same time period, but all of those vacancies have been filled according to the agency. D’Innocenti and Landshof said the exodus of social workers and the county’s inability to replace them fast enough is leaving those still on the job with high caseloads. The social workers say speaking to the media was their last resort. They first brought their concerns to their immediate supervisors, then to management, and finally to the director of the Department of Social Services, Robert Menicocci. The agency launched an internal investigation in 2015 to look into the allegations, but the social workers were never provided the final report and say nothing has changed since then. NBC Bay Area filed a California Public Records Act request to obtain a copy of the investigation, but the agency denied the request, claiming the report was exempt from disclosure because it dealt with personnel issues. Chavez said she’s been pleased with the CANC’s progress in answering the child abuse hotline calls, but hadn’t heard many of those calls were being answered by clerical workers. “I feel like we’re making very important progress,” Chavez said. But D’Innocenti said the agency still has a long way to go. Email Vicky Nguyenvicky@nbcbayarea.com or you can email theunit@nbcbayarea.com or call 888-996-TIPS.